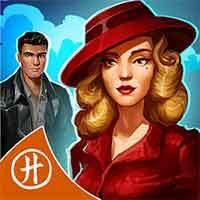 Allied Spies Chapter 9 Walkthrough how to solve factory location rope, character hop, bunker lights code, radioactive 3 4, questions, explosion puzzle – Help Ed and Marie Hamilton on a mission to smuggle two scientists out of Europe and find out who’s the traitor. Uncover the secrets of Adventure Escape: Allied Spies! Can you steal secrets from the Nazis and escape with your lives?